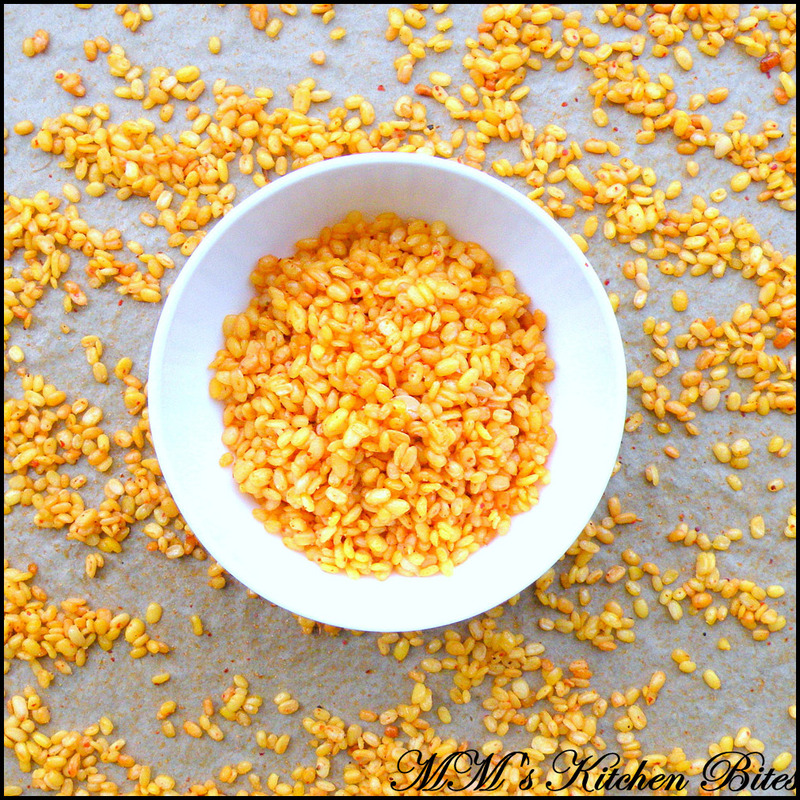 MM's Kitchen Bites: Oven Roasted Mung Dal...why stop at just one!! Oven Roasted Mung Dal...why stop at just one!! Rinse the dal well and soak them in a large bowl in plenty of water for 3-4 hours. Drain the water from the dal completely using a fine mesh strainer. Spread the dal on clean dish towel and leave to dry for couple of hours. Ensure that the dampness is gone and dal is completely dry. Preheat oven to 180 degrees C. Line a large rimmed baking tray with parchment paper. Set aside. 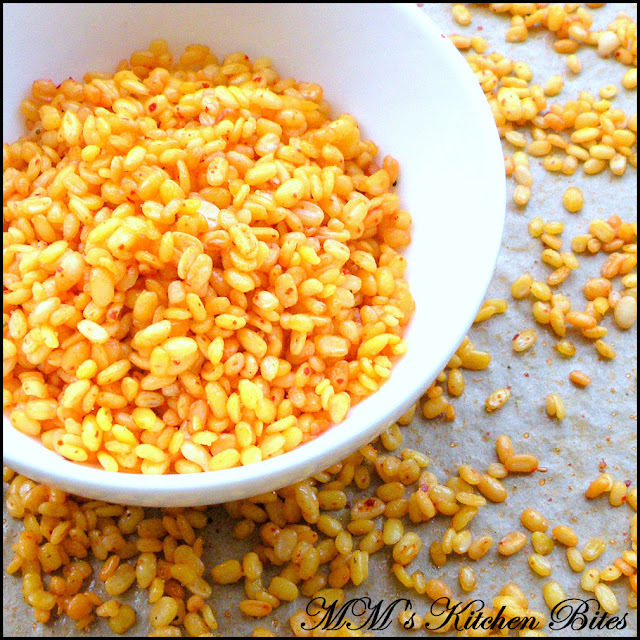 Transfer the mung dal into a dry bowl and mix well with the oil and salt. Take your time and ensure the dal is coated well with the oil. Once coated, spread out the dal in a single layer on the prepared baking tray and place in the preheated oven. Roast for 12-15 minutes or until light golden and crispy. Turn and stir/shake every 4-5 minutes so it doesn’t burn. If using red chili powder, sprinkle it on the dal right when it is out of the oven and still hot. Let it cool down for 5-10 minutes and it is ready to eat! Dal must be completely dry before putting in the oven as otherwise will end up being soggy, so don’t skip on that dish towel step. Don’t over crowd the tray – must be in single layer with enough space. If you are doubling the quantity, please bake in batches. 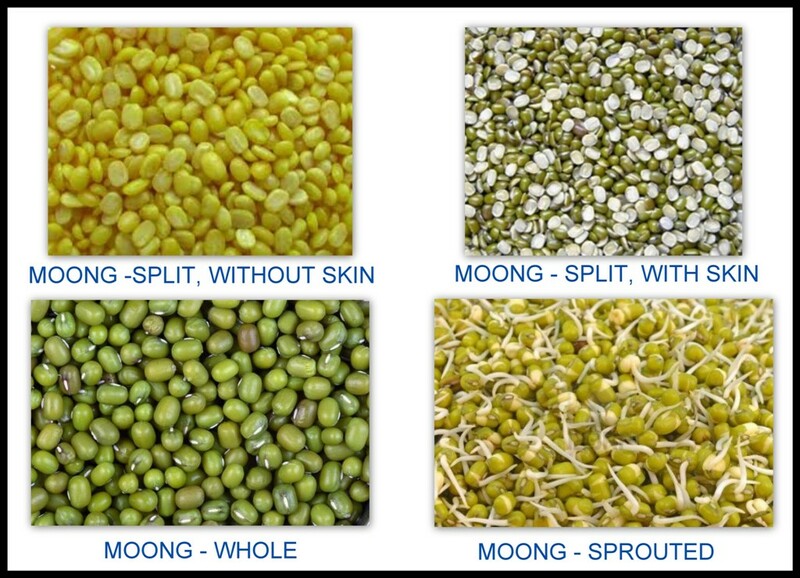 Don’t wait for the dal to brown – brown means burnt. Remove and shake the tray after every 4-5 minutes. If you see that it is getting brown, just lower the oven temperature to 160C and cook it a little longer. Don’t be tempted to increase the oil quantity!! Oven Roasted Chickpeas...New year resolutions! !